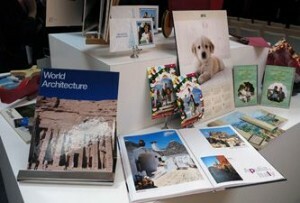 Just like every other printing technology, photo book printing has undergone dramatic changes in the digital age. In the 1960s, when Polaroid prints were the “high-tech” photo output, photo albums were typically created with dime store scrapbooks and little black photo corners. In my experience, Polaroid prints didn’t make great photo book layouts. By the mid 1970s, one-hour photo labs were all the rage. Picture quality was greatly improved (at least temporarily). In addition, we could even afford to mix a few 5×7-inch prints into our album layouts. Fast-forward to the next millennium and coffee-table books are no longer reserved for famous photographers and Life magazine compilations. Anybody with digital photo files can order a personalized photo book—complete with captions, a dedication and even a dustcover. 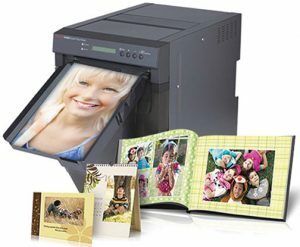 The equipment required to print professional, on-demand photo books varies with the size and makeup of the printing company and its customer base. Large pro photo labs are gravitating to the new digital presses. They are manufactured by companies like Canon USA, Eastman Kodak, Fujifilm, Xerox and HP. 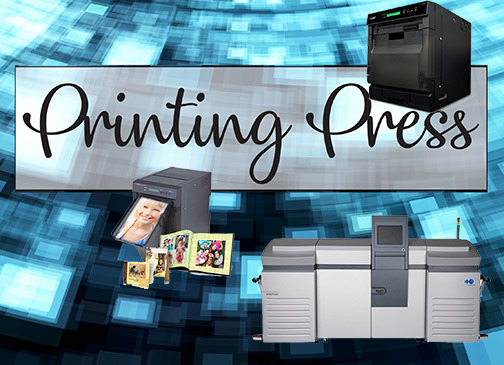 There’s a somewhat limited market for high-volume digital production printers in the photo lab environment, so this article covers only a few of the options. Canon offers the DreamLabo 5000 inkjet production photo printer, which has made a name for itself in high-definition photo printing. It employs a high-density printhead technology called Full-photolithography Inkjet Nozzle Engineering (FINE) to combine high resolution and high print speeds. It can produce up to 2,400-dpi resolution. The printer uses seven dye-based inks (CMYK, photo cyan, photo magenta and gray) to reproduce a wider range of shades, smoother color gradations and more precise color control, as well as clean, crisp text. Canon provides a software development kit that helps integrate the operation of the DreamLabo 5000 into a lab’s existing workflow management software. It also allows the lab to use its own ICC profile. Canon recently launched the hdAlbum EZ v2.0 app, using the company’s proprietary EAGiAL-M2 technology to automatically arrange images sent from a compatible mobile device. The redesigned software incorporates 20 to 50 of the user’s favorite images. Moreover, it links to Facebook, Instagram and Verizon Cloud accounts. 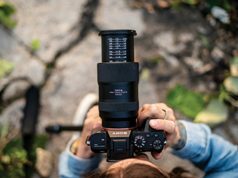 HP introduced the Indigo 12000 HD digital press at photokina 2018 last September. The B2-sized Indigo 12000 HD doubles image resolution over the previous Indigo 12000 press. It uses HDFM screening technology to produce sharper, smoother, moiré-free prints and create new high-end photo products—photo books, holiday cards and calendars. HP also announced HP Pixel Intelligence. The new photo software uses artificial intelligence with deep learning to help automate photo book creation. It includes algorithms for face grouping, accurately recognizing and grouping individuals found in photo libraries; face detection, to identify and locate specific human faces; face recognition, to help match faces to databases; and object and logo detection, to locate, identify and organize objects and logos within image libraries. Users can even train the technology to find what is important to them. Xerox offers the iGen 5 digital press as the most recent addition to its iGen series of high-end, high-throughput dry-toner digital presses. 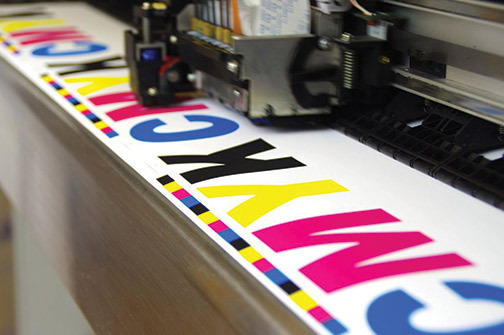 It has an optional fifth color unit for the application of spot colors or to supplement the CMYK color gamut (including white and clear dry inks). The iGen 5 prints on coated, uncoated, textured and specialty stocks. It also is scalable for speed upgrades from 90 to 150 ppm. Moreover, it is customizable with a range of feeding and print finishing options. Fujifilm is also a big player in this category. Joe Palaggi, vice president of Operations at Fujifilm’s Imaging Division, is responsible for the company’s wholesale labs that manufacture photo products for its retail partners. He views photo book equipment from the perspective of a user rather than a manufacturer. 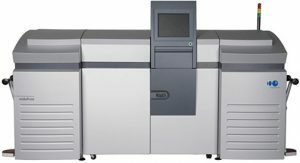 Once the pages are printed, the lab uses equipment made by Imaging Solutions AG (ISAG), a Fujifilm partner located near Zurich, Switzerland, to prepare the pages for binding. “We have various generations of Imaging Solutions’ fastBook equipment that we use to create lay-flat book blocks in standard sizes from 8×8 to 12×12 inches,” he added. Fujifilm Wholesale Labs use Imaging Solutions’ widePrint Exposure Unit to print silver halide photo books. ISAG’s fastBook Professional is a complete production and book block system for creating large-format photo books, photo albums and other projects up to 18×18 inches. Moreover, the fastBook produces a complete book block in one step—creasing, folding, pressing and gluing photo book pages in preparation for binding. Its integrated LayFlat binding capability allows two-page image spreads (maximum 36 inches) without any gutter or image lost. ISAG’s fastBook Basic is an entry-level bookbinding solution designed for minilabs, professional photo labs or digital printing labs. Production steps include automatic feeding of single sheets and cardboard, creasing, folding and gluing. All the steps lead up to the application of the book cover. Steven Vallario, Fujifilm director of Product Management, Hardware Solutions, is responsible for on-site retail lab solutions. They offer a range of printing options, from the popular Fujifilm Frontier silver halide and inkjet photo printers to the Xerox/Fujifilm Phaser 6270 duplex photo book printer. “Our team works closely with retail partners to deliver solutions for on-site photo fulfillment, including printers and kiosk equipment,” he said. “Fujifilm offers a number of on-site printers to make photo books, including Frontier processing equipment and also the Phaser 6270. The Phaser 6270 duplex printer is specifically designed to produce personalized photo products, including books, calendars and folded cards. The toner-based laser printer is capable of printing high-quality, borderless, double-sided prints as large as 8.3×14 inches. It also provides more options for personalization and creative layout. Kodak Alaris offers two duplex printers. 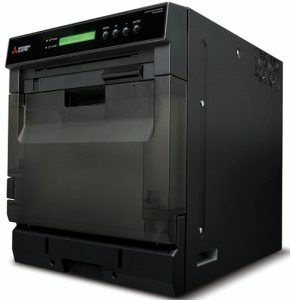 The most recent model, the Kodak D4600 duplex photo printer, is a dye-sublimation printer. 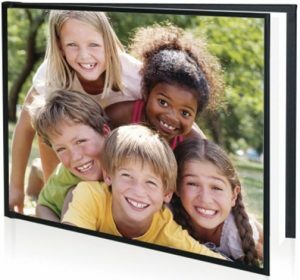 The D4600 delivers double-sided, 300-dpi, continuous-tone prints up to 8×12 inches. Moreover, it connects directly to Windows PCs, Kodak Picture Kiosks or Kodak APEX units. 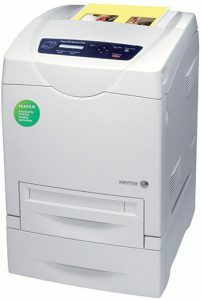 In addition, the Kodak DL2100 is a 1,200×600-dpi electro-photographic printer. It’s sold with proprietary printer paper, cards and envelopes specifically designed to create personalized photo products on the DL2100. Paper is sold in 8.5×11-inch sheets for spiral-bound books and calendars. It also comes in 6.8×9.6-inch pre-scored card stock for greeting cards. Mitsubishi also offers an on-site photo book solution, the CP-W5000DW dye-sublimation duplex printer. The CP-W5000DW provides dual-sided, full-bleed (borderless) printing in landscape, portrait and square formats, in multiple print sizes. Built-in horizontal and vertical cutters provide 13 different print sizes, and a multi-cut function maximizes 8×2-inch print media. Peleman similarly has several bookmaking solutions. 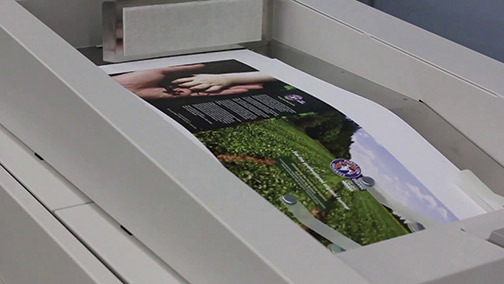 Virtually any print that’s large enough inserts into a photo book cover using on-site binding equipment like the Peleman UniBinder thermal binding system. The new UniBinder 8.2 combines the company’s traditional UniBind Resin SteelBinding technology with a newly developed crimping element that binds up to 340 sheets. Moreover, UniBind provides a variety of covers for steel thermal binding applications. They range from hardcover books and flexible soft covers to fully customizable cover sets as well as spines. Whether you want to create photo books in-house or partner with a PSP, there is no shortage of resources currently available. From simple binding and case-making systems to dye-sub printers and large digital presses, there is now a photo book making solution to meet every need.